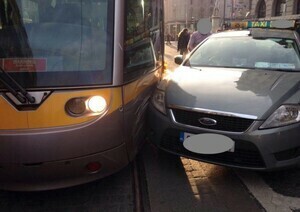 BMW Vs Luas Classic Posting Stricken Sure Where Would You Get It? 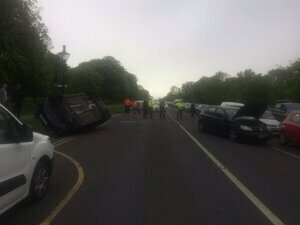 Posted in Misc and tagged crash, Phoenix Park at 9:06 am on May 9, 2018 by Bodger. 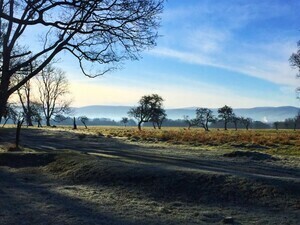 Ban through-traffic from the Phoenix Park. It’s supposed to be a public amenity, not a bleedin’ rat run. don’t be silly, it’s far too big. 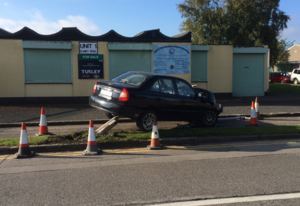 No doubt a taxi driver was involved in some shape or form. For anybody wondering how the Phoenix Park is “Dublin 8”, rather than odd-numbered like all the other nortside codes (City Centre being “Dublin 1” and Castleknock being “Dublin 15”), it’s apparently an anomaly in the system, whereby Chapelizod and the park are considered to be Dublin 8! So says Wikipedia though she doesn’t say why …. it’s to do with the telephone system. Local exchanges had starting telephone numbers eg 1, 2, 3, etc. Park was Kilmainham (I think) so became D8. nothing to do with snobbery, all to do with practicality; because of the volume of post going in and out of Áras an Uachtaráin, it had its own hourly service between it and the nearest sorting office, which was james’s street (despite it being on the southside, with the nearest northside one being phibsboro). when post codes were introduced, Áras an Uachtaráin – and hence the rest of the park – was assigned Dublin 8 (even though it technically should have been Dublin 7) to ensure that any post addressed to it would go to james’s street sorting office, rather than phibsboro, so as not to disrupt or delay delivery.